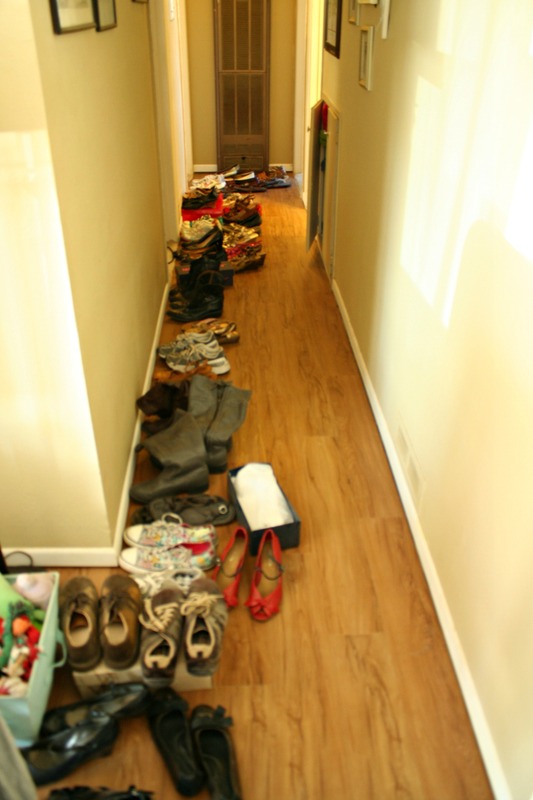 After lining up all members of my shoe army, I counted 56 pairs present. Honestly, I don’t see how I can deny it now, I do have a footwear addiction. I don’t know how it started, but it’s there, and it’s taking up waaaay too much space in my teeny little house. Since cleaning out the bottom of my closet two years ago, the collection has grown. Most of the shoes I’ve been stumbling over and shuffling around have only been worn a couple of times. Some of them have never been worn, as they were victims of impulse internet buys, ya know the kind that look cute and comfy until they arrive on your door step and you immediately realize those sweet Riding Boots won’t fit over your cankles. The disappointing buys that taunt you every time the closet door opens, and remind you of your imperfections as well as your inability to remember return dates. Yeah, those things, aren’t worth the mental space nor the physical space they demand. So, out went a good 20 pairs of demeaning wedges, painfully narrow boots, deceptively comfy looking flats, and flip flops way past their prime. I plan to list the new and never before worn shoes on eBay to see about getting a little of my money back, but the rest have either gone in the trash or have found a new home amongst the racks of Goodwill. 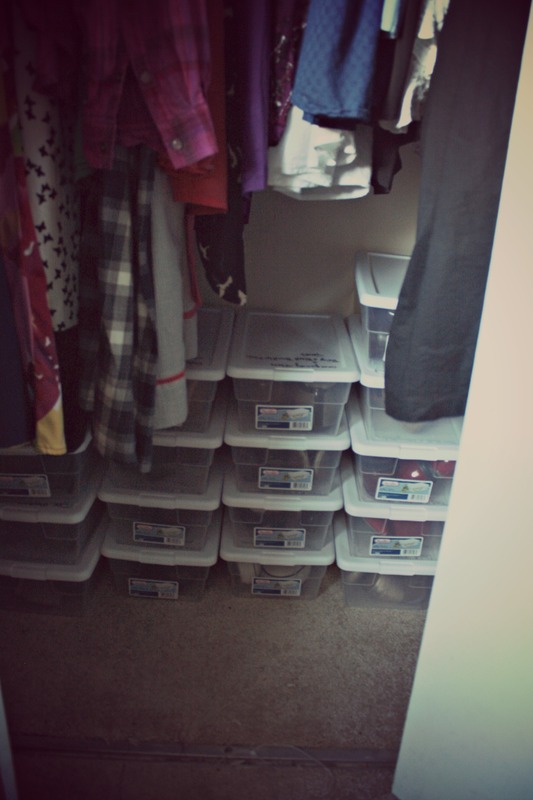 And the remaining members of my shoe army now reside in these little plastic shoe boxes. How quaint of me to use them for shoes right? 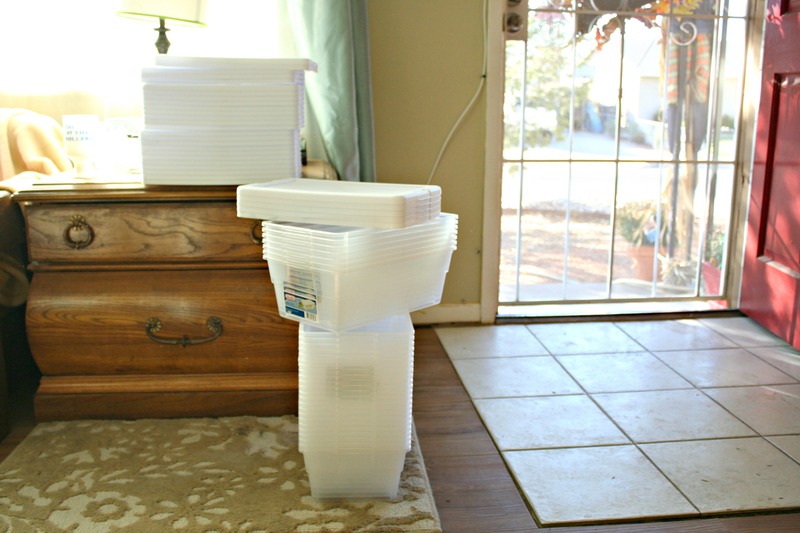 Then I neatly stacked them at the bottom of my dark closet. After a few days of this system, I have come to the conclusion that it doesn’t work. I will either need to figure out how to build a shoe rack, or try cleaning out the top shelf of the closet (which regrettably has become an abyss) and try them up there, or conjure up a nice spell for a bigger closet that will accommodate my shoe and cardigan hoard (the sweaters are a post all by themselves). Another thinning of the herd may also be required. Of the 56 original pairs I am now down to 36 pairs of shoes that I love, but could possibly be past their prime or just not be the most comfy. What is a girl to do? Because ya know, there aren’t bigger issues in the world.